Thanks to CYBEX for sponsoring this post. As always, all opinions in the post are honest and my own. One of the most important things you will ever buy as a parent-to-be is a car seat… The new parents are not even allowed to check out of the hospital without demonstrating that the baby fits properly in the car seat. As I mentioned in this post, while buying any baby product is all too overwhelming, buying a car seat tops the charts - from comparing various options and models to choosing one with the right features and safety, it is a lot of work (and for obvious reasons). So to make the whole process a lot less stressful, here’s the top ten things to consider as you shop for the car seat. Safety: It is the first and foremost thing that comes to mind when you think of a car seat as they go hand in hand. Buy a car seat that is rated by NHTSA Federal Safety Standards and strict crash performance standards. Ease of installation and ease of use: Pick a car seat that is quick and easy to install. And ease of use is just as important - the ability to easily adjust the straps with single-hand belt adjustments and quick release buckles, and the ability to harness height from the front with height adjustable headrests and no rethread harness makes for a great car seat choice. Compatible with your car: It can be surprising to realize that some car seats may not be compatible with the make or model of your car, so be sure to check for compatibility beforehand. Rear-facing: A rear-facing car seat is the best option for new borns to support and protect his/her head, neck and spine but if you were to pick a convertible car seat be sure to choose a model that also has the rear-facing option. A rear-facing infant car seat makes it easy and safe to carry the baby around while strapped securely in their seat. Correct fit: Be sure to check if the car seat fits your baby based on his/her age, weight and height limits. Comfort: A well padded seat, headrest and buckle is more comfortable and it makes for a better experience and ride for your baby. Padded buckles also ensure that the baby is not just secure but also safe. Easy cleaning: Its no surprise that babies are messy, so a car seat that comes with a detachable and machine-washable cover makes cleanup a breeze. Compatible with your stroller: Buying a travel system which comes as a combination of a car seat and a stroller is the most obvious choice. But if you are not purchasing one of those and still want to be able to use the car seat and stroller together, then buy a car seat that can easily be attached to your stroller with an adapter. 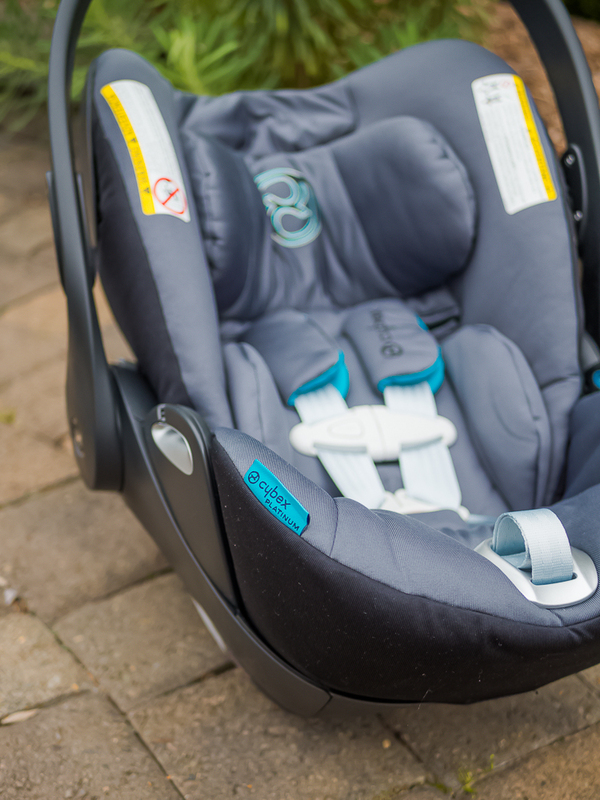 Never buy used car seats: While hand me downs of certain baby products are a good option (as mentioned in this post), but when it comes to car seats never get a used one. You do not want to use a car seat without knowing its history, for example its current condition, cracked or missing parts, or if it has been in an accident etc. So its always best to buy a brand new car seat! 5-point harness: 5 points where the straps are mounted to the car seat - 2 at each shoulder, 2 at each side of the hips and 1 between the baby’s legs. Side-impact protection: Additional impact-absorbing foam to protect the baby’s head and chest during an accident (#touchwood). LATCH (Lower Anchors and Tethers for CHildren) system compatible: Enables the ability to correctly fasten the base of the car seat without using seat belts. Our first car seat (the one we used before giving Cloud Q a try) while satisfying most of the above considerations, left much to be desired. While it was roomy, it lacked proper cushioning to support my baby’s back. Moreover, my baby’s head was wobbly which made us new parents extremely concerned. One of us always sat next to him in the car and held his neck in place (especially early on in the first 2 to 3 months when the baby does not have the neck strength to hold its head up on its own). While that might have worked for short trips, it was neither safe nor conducive when it came to long drives. 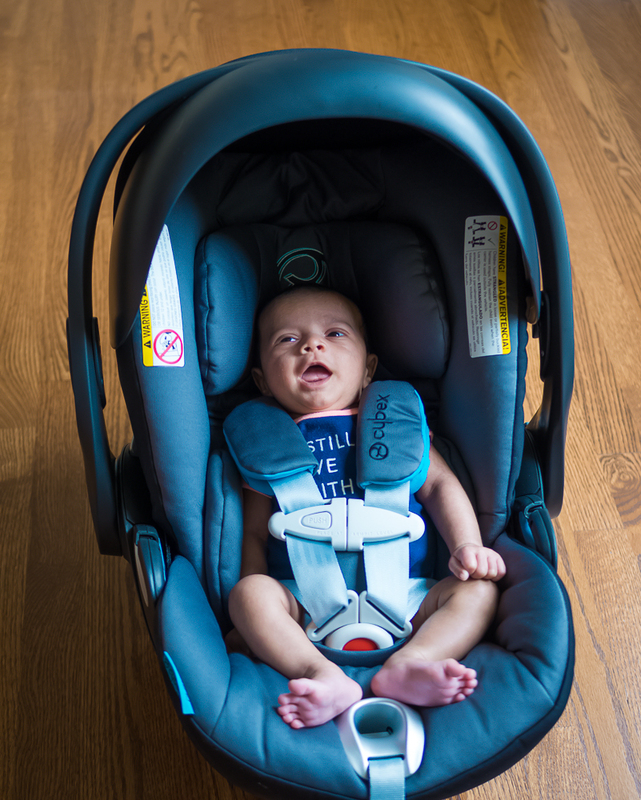 In comparison, the CYBEX Cloud Q car seat was a godsend and arrived just in time for our little one’s first road trip (catch a glimpse of it here) during the Memorial Day weekend. 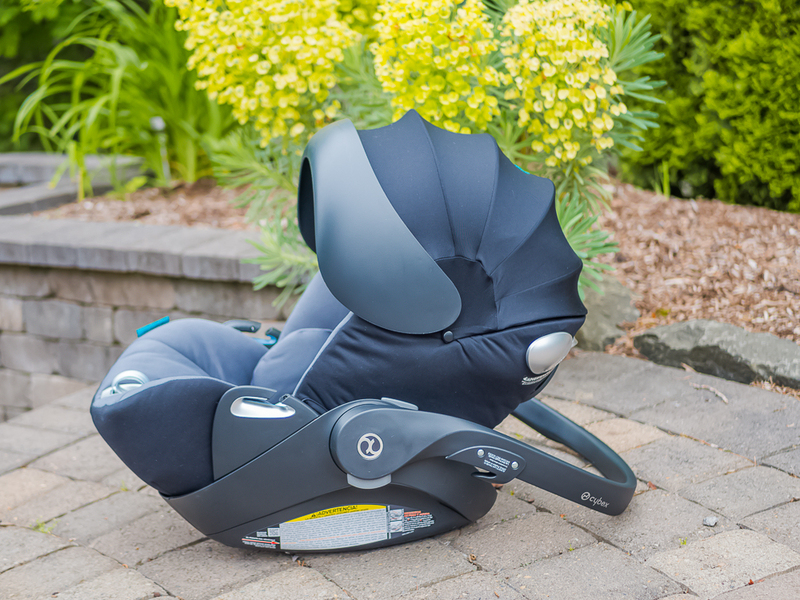 Not only is it more snug around the neck and head, it is loaded with a host of other features that we didn’t even know came in car seats - extra plush cushioning, side impact protection and best of all, the lounger. We could hardly wait for our adventure to begin. The little one was snug and comfy in his car seat and needless to say, we travelled without an ounce of worry and had a great time on the road. Really glad that the CYBEX Cloud Q car seat is a perfect combination of a fashion-forward gear that comes with all the top features I mentioned above (and more)... Again, the best part is that Cloud Q provides my baby boy comfort not just inside the car but also outside as he loves to lounge in the full-recline position of the car seat (sometimes even when he is at home, right next to his dada who lounges in his recliner couch)! 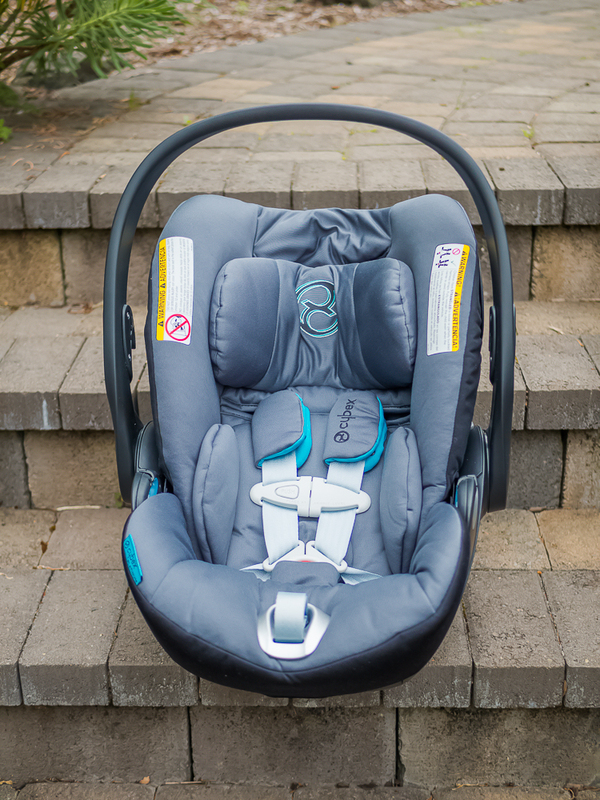 The only drawback with this car seat is its weight (13 lbs, some serious workout and muscle building there ;)), but the top of the line safety (award winning! ), the sleek design, the quality and the additional features it comes with easily trumps the drawback. 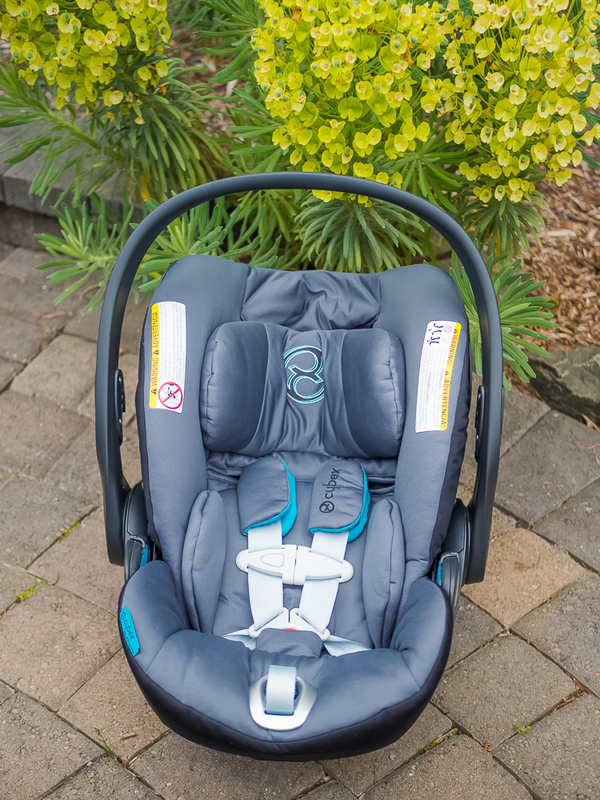 From the telescopic side-impact linear protection to the adjustable load leg base to the in-car automatic height adjustment, I am extremely impressed with the CYBEX Cloud Q design which is focused around the safety of the infants. 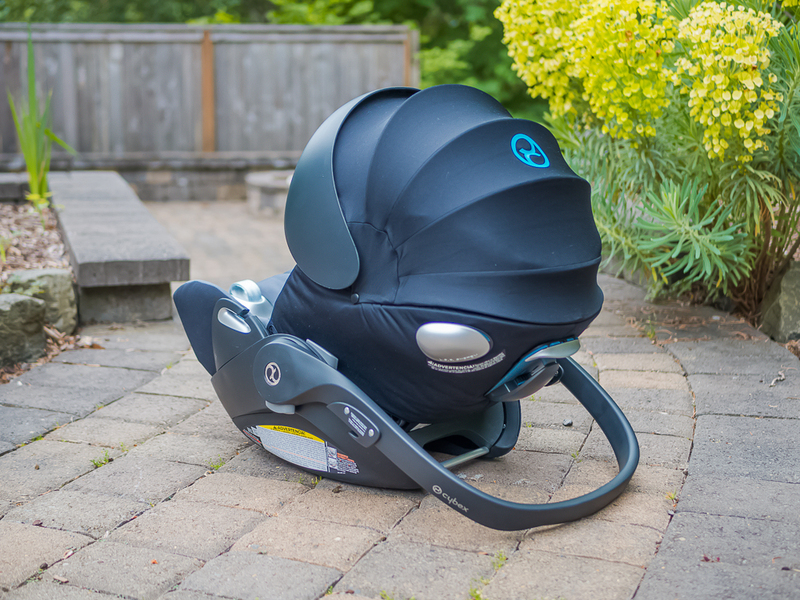 I highly recommend the CYBEX Cloud Q car seat to anyone who is out in the market shopping for a new car seat, do check it out. P.S: CYBEX car seats are $100 off at select online retailers, now through July 31st, hurry!